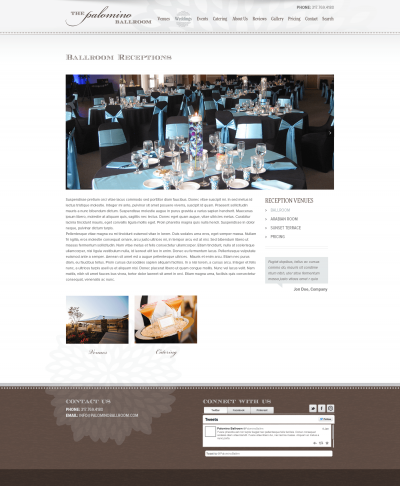 The Palomino Ballroom has been a long time client of ours. 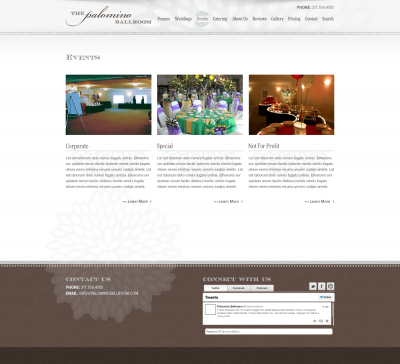 They recently went through a re-branding and needed their website to be updated to match the new brand. 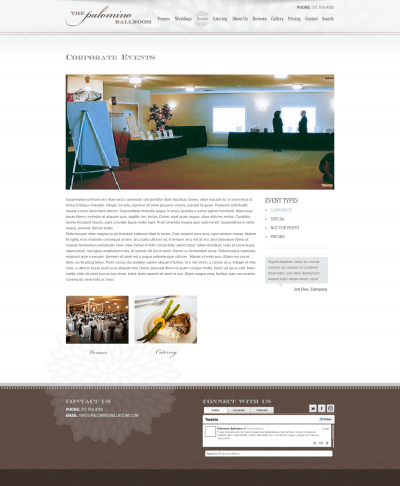 They are a multipurpose venue and also offer first-class cuisine through their catering company, available on and off-site. 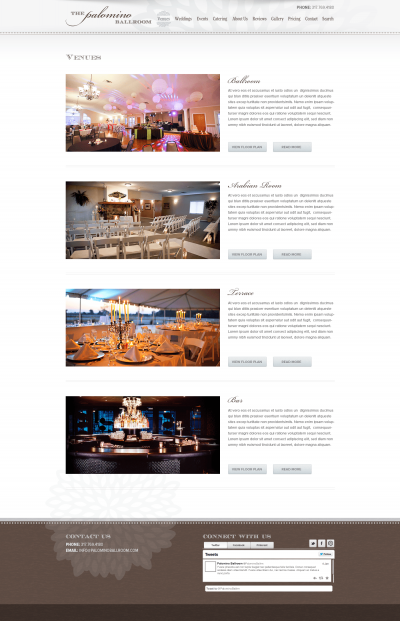 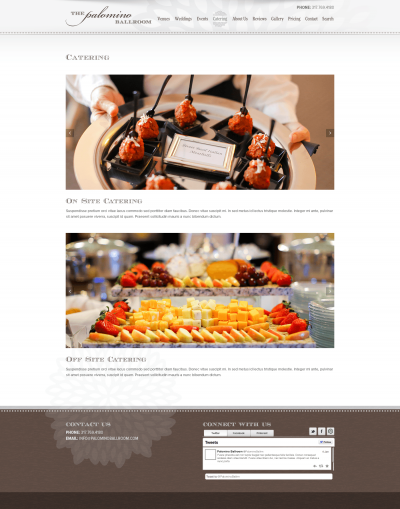 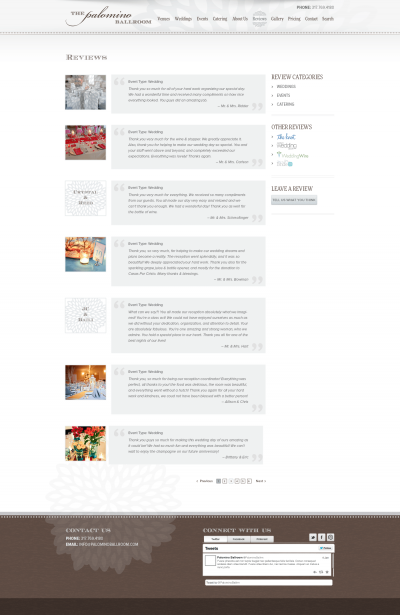 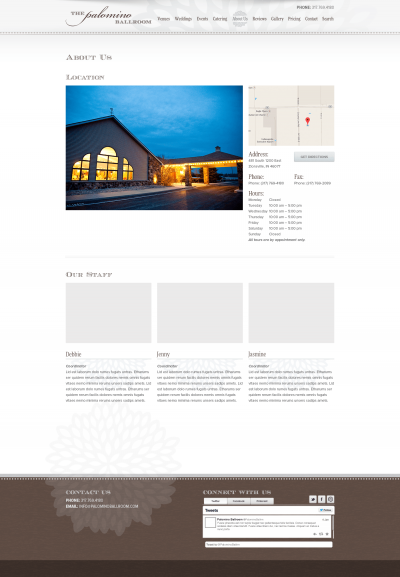 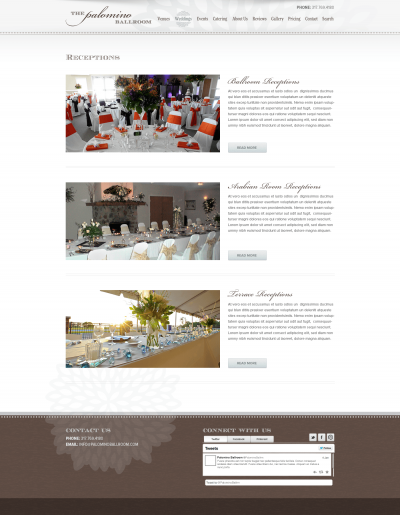 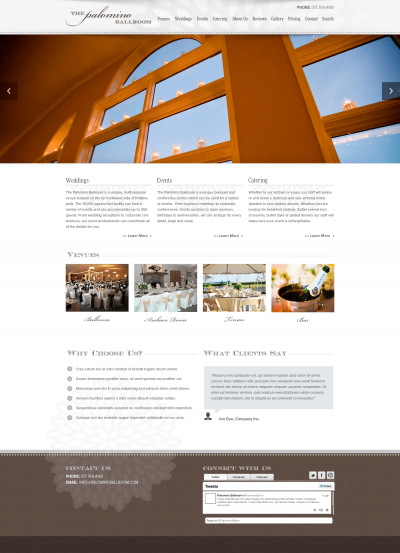 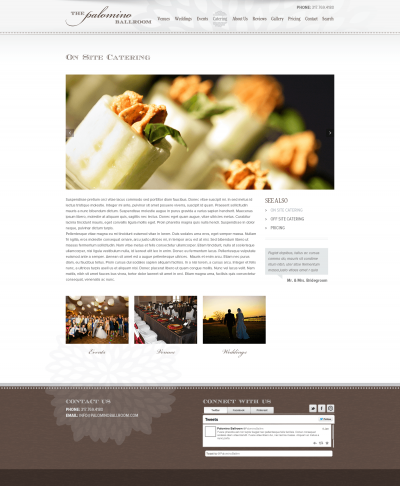 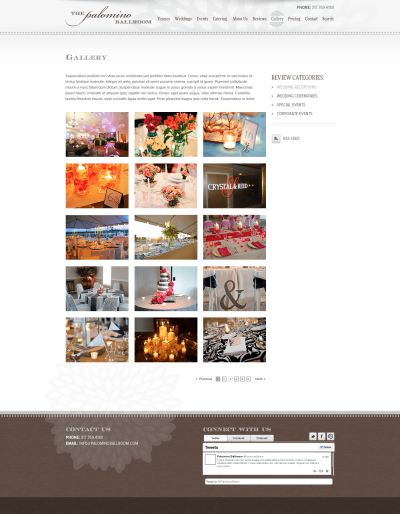 In the new website design, we incorporated larger photo areas to better showcase their stunning venues and catering items. 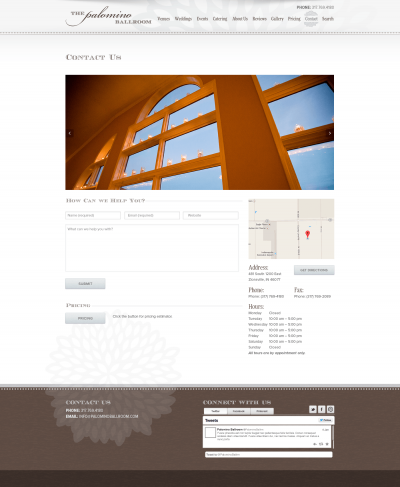 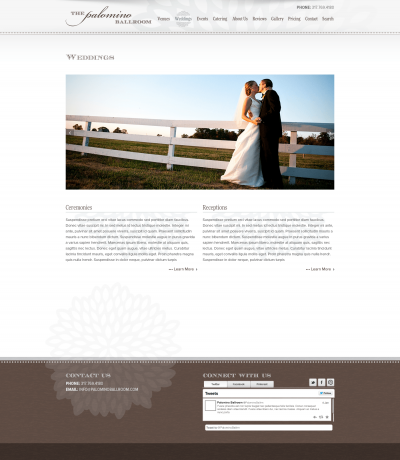 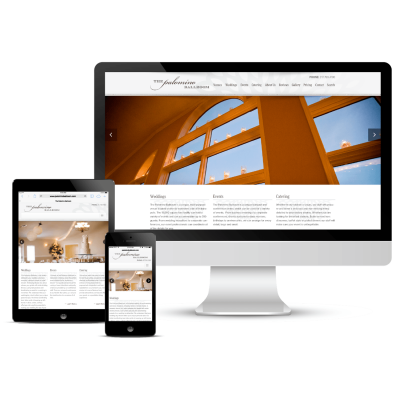 The new website has a stylish and classy, yet slightly rustic feel to appeal to each of their different types of clients. 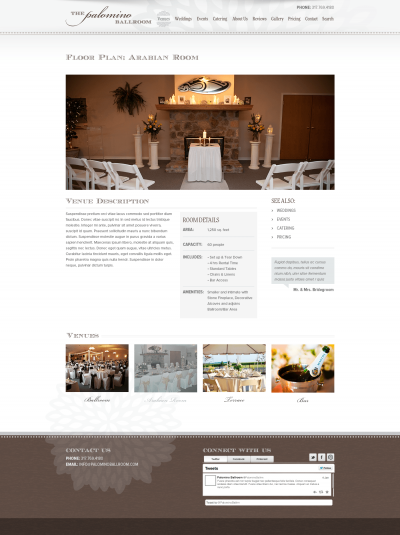 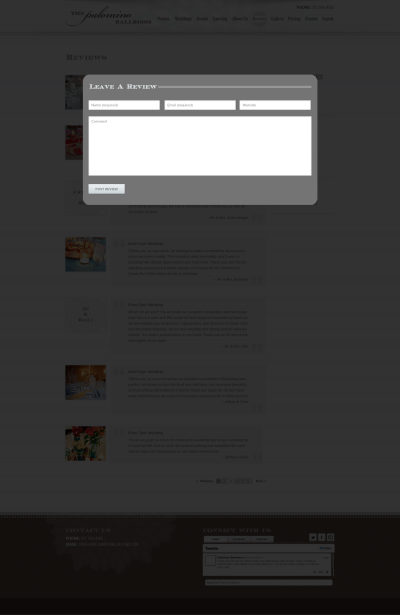 We also redesigned the branded emails that get sent to people inquiring about services and events (shown below).